There are so many kitchen items out there that you could easily fill all your cabinets and then some. 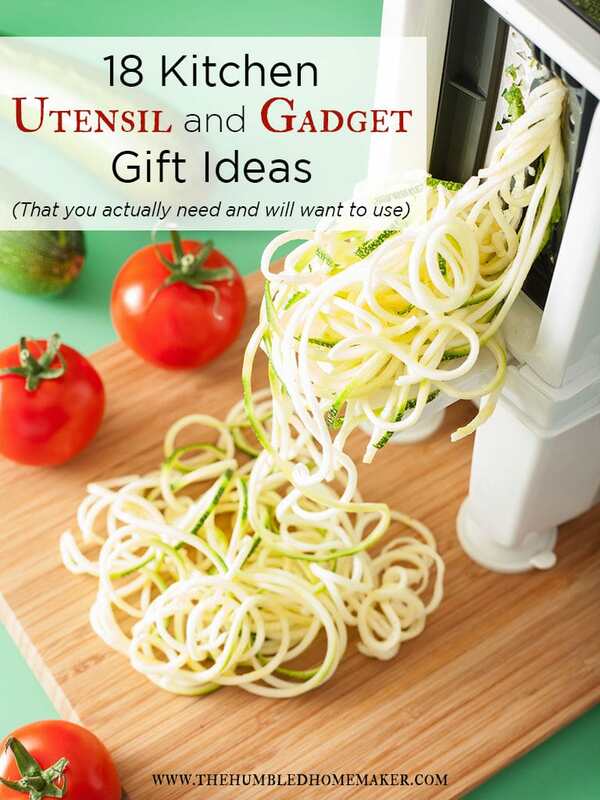 Here are 18 kitchen utensil and gadget gift ideas that you actually need and will want to use. I never thought I would be one of those people. You know…someone who wants sensible, practical gifts for birthdays or Christmas. Don’t get me wrong, I still enjoy other types of gifts, but I find myself asking for things that I need or use around the house. 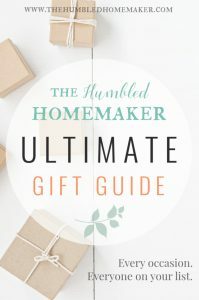 One reason that I find myself leaning toward practical gifts is that we are trying to save space in our home and not junk it up with unnecessary things, so I want to focus on things that we need and will actually use. 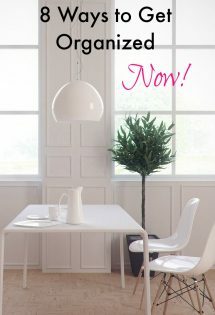 I’ve compiled a list of kitchen utensil and gadget items that we use almost on a daily basis in our home. Most of these are also healthy and naturally minded. They are in no particular order, but they are all things that we use often. 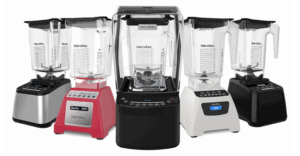 I use my Blendtec multiple times a week to make smoothies, blend ingredients, or any number of other things. 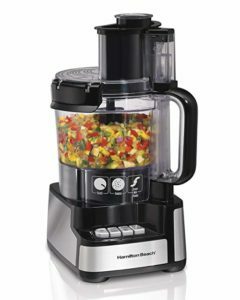 A high-powered blender is a must for any real-food cook to have in her kitchen. If something like a Blendtec or Vitamix are not in the budget, then there are other options like the Ninja, which is what I owned before the Blendtec. You can use this to grind coffee, but I use a small coffee grinder for that. 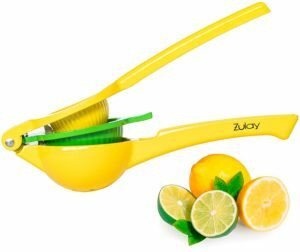 This may not seem like a big deal, but I love my lemon squeezer and use it all the time. It is so much easier than trying to hand squeeze lemons or limes, and you get way more juice out of the fruit. I still laugh when I think about this, but one of our biggest fights before we got married as over whether or not to register for a toaster oven or a toaster. I wanted the toaster, and Will wanted the toaster oven. 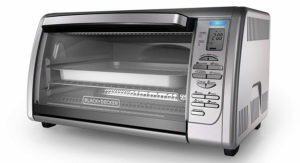 We registered for both and ended up getting both, but I can tell you that we use our toaster oven way more than the toaster. It is one of the few things that sits on our counter because of its daily use. This year we were gifted some ceramic cookware by Xtrema. We loved it so much that we bought some other pieces. It is the cookware that we use the most in our home. 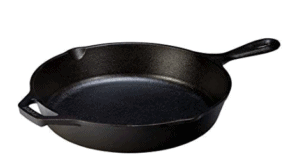 It’s durable and a great healthy alternative to get rid of the toxic non-stick stuff. This is excellent quality, solid ceramic cookware that is not just a ceramic coating. And they are currently offering up to 60% off some items. We use this ceramic griddle every time we make pancakes. Even our oldest daughter uses it to make them with ease. Things don’t stick to it, and it’s easy to clean up. We also use our ceramic waffle maker when we are feeling like waffles instead of pancakes. I’m going to be honest…I use my crock pot a lot more than my Instant Pot. I just asked for and received a new crock pot for my birthday. 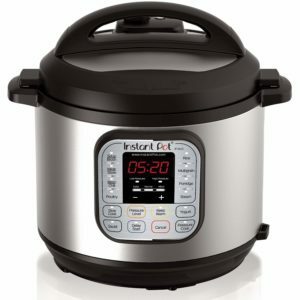 I know many people who swear by their Instant Pot. I just haven’t taken the time to figure it out yet. My hubby has used it more than I have. Regardless, either one of them are a must have for the kitchen. 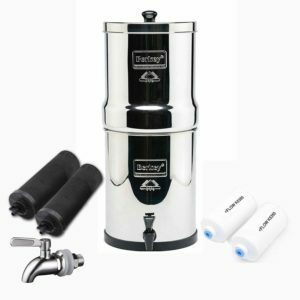 I could not live without my Berkey water filter. Well, I could, but my water wouldn’t be nearly as clean or healthy. We live on city water, and this filters out all the nasty stuff that I don’t want my family drinking. I often use this water to make my tea and coffee as well. A couple of years ago, we moved away from plastic cups and switched to stainless steel cups. 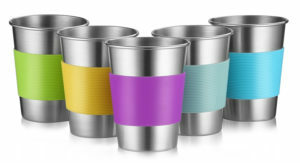 Our kids mainly use the cups, and they are much more durable and safer. We also have some divided stainless steel plates that they also use on a daily basis. 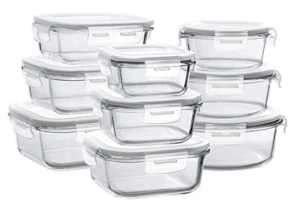 For their lunches, we have divided bento boxes and small stainless steel bowls. We also have a set of stainless steel measuring cups and spoons that I use exclusively. In an effort to move away from all plastic in the kitchen, we also switched all of our cooking utensils over to silicone ones. I also wanted to move away from non-stick muffin tins, so we switched those to silicone muffin pans as well. We also have some silicone straws that we love. I probably have not been using my food processor to the best of its ability. I know there is so much more it can do, but I mainly use it to chop things up. I actually use my little food chopper more than the big processor. 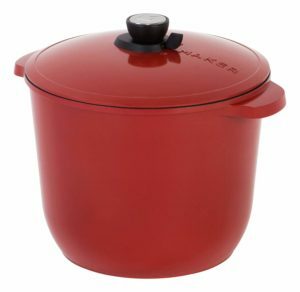 Again, to move away from the toxic non-stick cookware, I wanted a large soup pot that was either ceramic or stainless steel. My husband gave me one for Christmas last year, and I absolutely love it! Soup is one of my favorite meals to make on a budget because it stretches so far, and with a large pot, it’s easy to make enough to feed our large family and have some leftovers. We also moved away from plastic storage and started adding glass storage to our kitchen. 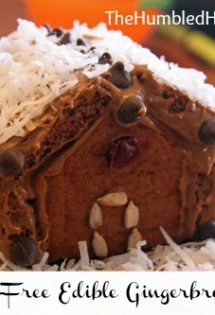 I added a few pieces at a time, and now it is all we use for food storage. In addition to my ceramic cookware, I also use my cast iron skillet fairly regularly. It’s one of those classic pieces that every real-food kitchen needs. 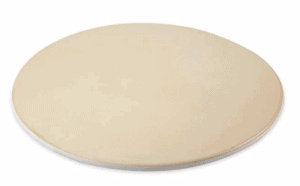 I love my pizza stone and use it more than any of my other baking sheets. I use it for cookies and many other things. I love it so much that I’ve started adding other stone bakeware to our collection. We actually put reusable sandwich bags in our girls’ stockings last year, and they loved them. 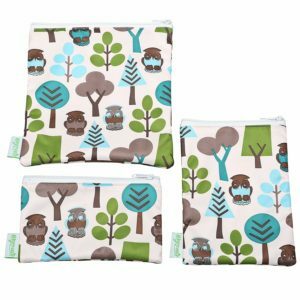 There are so many cute little patterns, and they are so useful for snacks, sandwiches, and other items. 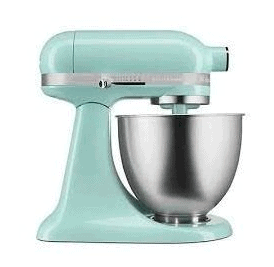 I know people that swear by their KitchenAid Mixer, and I do love mine when I use it. 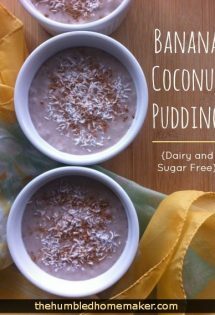 I guess I just don’t bake enough because it doesn’t stay out on my counter, but it is a must have if you love to bake. 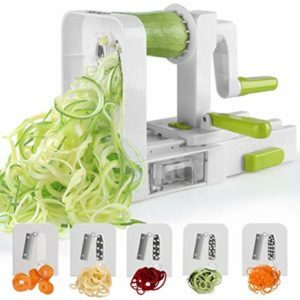 If you love making zoodles (zucchini noodles) or shredding/slicing other hard vegetables, you need a spiralizer in your kitchen tool belt. It makes it so much easier and faster. I know a lot of people love their mandolin slicer as well, but I don’t personally own one. I know this is not a utensil or a gadget, but it is perhaps one of the most used items in my kitchen. 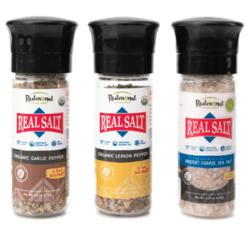 I couldn’t cook without my Real Salt. It’s natural, unrefined, full of helpful minerals, and loaded with flavor. OK, I know this is not technically a kitchen item, but hear me out. 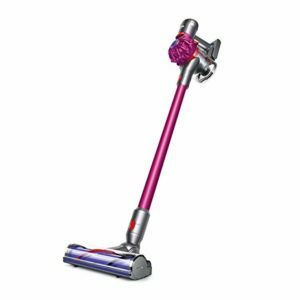 I swore I would never spend a lot of money on a stick vacuum like a Dyson stick vacuum, but after going through 2 or 3 cheap ones, I finally bit the bullet when I saw one on sale and had some other coupons to knock it down even further. I love this vacuum, and we mainly use it in the kitchen area because of all the crumbs and stuff that get on the floor. It is so easy to quickly run it after we eat to clean up any messes. I know there are some other options out there that are more affordable, but if you have kids, I would highly recommend investing in a good cordless stick vacuum. 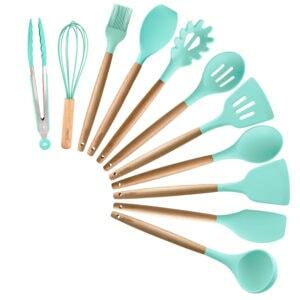 If you like these 18 Kitchen Utensil and Gadget Gift Ideas, you can also find more ideas in our Ultimate Gift Guide.